Boise Hawks ball players have little spare time. 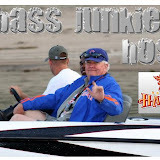 When they manage to get away for some R&R, the Bass Junkies were on hand to show them some Bass Junkeez hospitality. VIP was on location to film the casual and fun event. 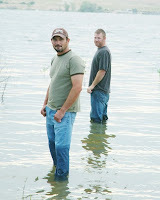 Please click the album thumbnail above to see some 'behind the scenes' pics. The 'Music on the Waterfront - Free Summer Concert Series' is developing into a very unique Treasure Valley Event. It is different from other venues in that 1.) It is literally on the shores of Silver Lake (behind Lake Harbor off State St. in Boise). 2.) There is plenty of FREE PARKING! and 3.) It has a little something for everyone and is truly 'Family Friendly'. VIP is proud to associate with and be a sponser of this Boise Business Co-Op event. Event promotion is a VIP specialty and we especially like being apart of on going events where effort and images from the last event help support the next. Please feel free to call or e-mail if you would like some VIP Treatment for your next event. Sometimes we get the opportunity to re-edit and use footage from previous shoots and in this case we did. The client, Affinity Image, had hired VIP to shoot and live stream their Mardi Gras / Fat Tuesday Lingerie Modeling show at the Rose Room in downtown Boise. We had two days to shoot and edit and the only public advertisement was the :30 trailer that we created and posted online. To demonstrate the value of rediting, VIP has created an extended version of the teaser / trailer from camera 2 (the behind the scenes shots). Viral Intermedia Production is currently producing a media presskit for the Bass Junkeez. Here is the trailer for the DVD portion of the package. Music on the Waterfront from VIP on Vimeo. That being said, of the list above, the item that brings the quickest gratification is #7 - the web clip. The reason being is that they are inexpensive to make, highly effective and can be completed the fastest. They bring the person or group commissioning the web clip nearly instantaneous results in marketing, promotion or simply "sharing." Case in point is the web clip included with this post commissioned by the Boise Business Co-op. The BBCo is a new venture in the Treasure Valley that offers members the benefit of social networking supported by hosted events featuring local area merchants, talent and vendors. Perhaps not a new concept in and of itself but what is new is their intention of supporting and complimenting existing events and networks. The BBCo does its best to create its events on alternate days and at different venues than those already in place. Its current Free Summer Concert Series "Music on the Waterfront" takes into consideration 'Alive after Five' and its Wednesday night venue at the Grove. MOTW is on Thursdays at Lake Harbor. Instead of beer gardens and rock'n the Grove, it's more about relaxing, sitting on the manicured lawns and listening to jazz, soft rock, or reggae while the young'ns fish. It's more about perusing the local vendors and concession stands where one has the time and atmosphere to visit for a few moments and the ambiance to carry on a conversation. Viral Intermedia is a proud member of the Boise Business Co-op and is honored to support the other members in what ever ways serve. We are also happy to be a part of a new and growing tradition of "Music on the Waterfront" at Lake Harbor Thursday's Free Summer Concert Series. You will find our staff and crew there every Thursday along with our spouses and kids working and recreating at the same time. Summer time...and the living is easy!